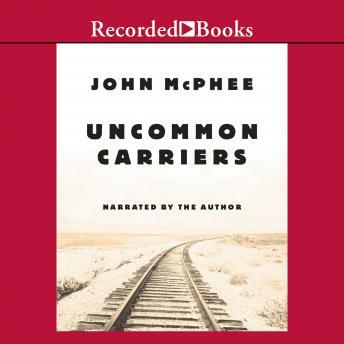 From Pulitzer Prize-winner John McPhee-author of The Founding Fish -comes the fascinating story of an often overlooked, yet vitally important part of America. This first-hand account of the transportation sector features evocative portraits of the men and women who deliver our consumer and industrial goods. McPhee begins his adventure riding with Don Ainsworth, owner and operator of an 18-wheeler hauling nearly 30 tons of highly toxic chemicals from North Carolina to Washington. He continues his journey on a towboat pushing over 1,000 feet of barge up the narrow channel of the Illinois River. He rounds out his account crawling through Nebraska, Kansas, and the Powder River Basin of Wyoming in massive coal trains. Along the way, he tells the stories of the people he meets and the places he visits. McPhee's sense of humor, incisive observations, and historical asides make for a highly entertaining journey across America.